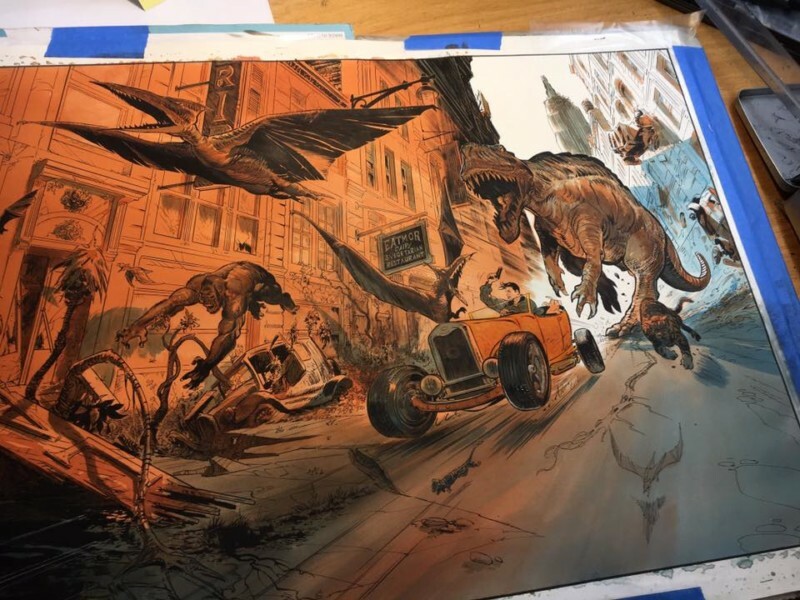 Since we published the new edition of Frezzato’s Guardians of the Maser, and Armel Gaulme’s BESTiary, we have been working on some new projects. 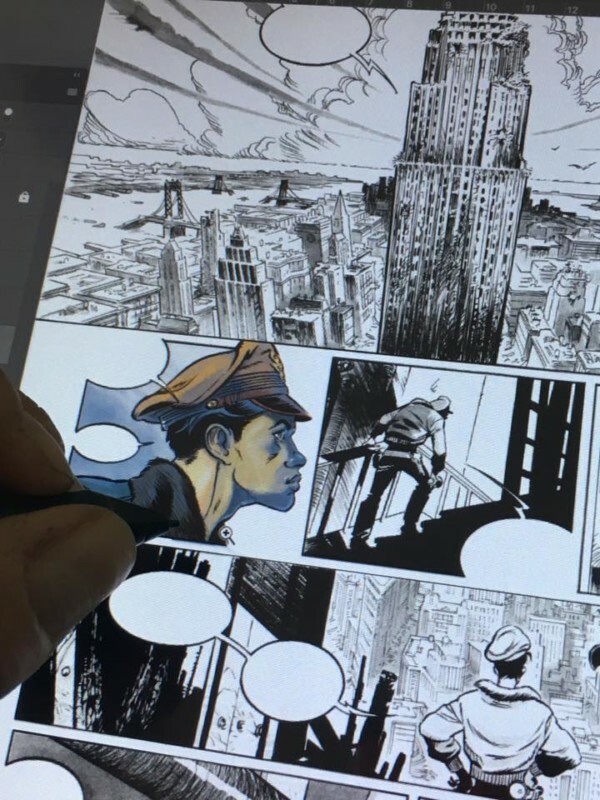 When it comes to Valerian, we are working on the Artist Edition of Brooklyn Station Terminus Cosmos by Christin and Mézières. This one is the sequel to Métro Châtelet, which is still available on our website Liber Distri! In the meantime, here are some visuals shared by Eric Herenguel himself. In the meantime, you can get volume one on our website Liber Distri. Karl Kopinski is releasing a new book with us! But that’s not all! 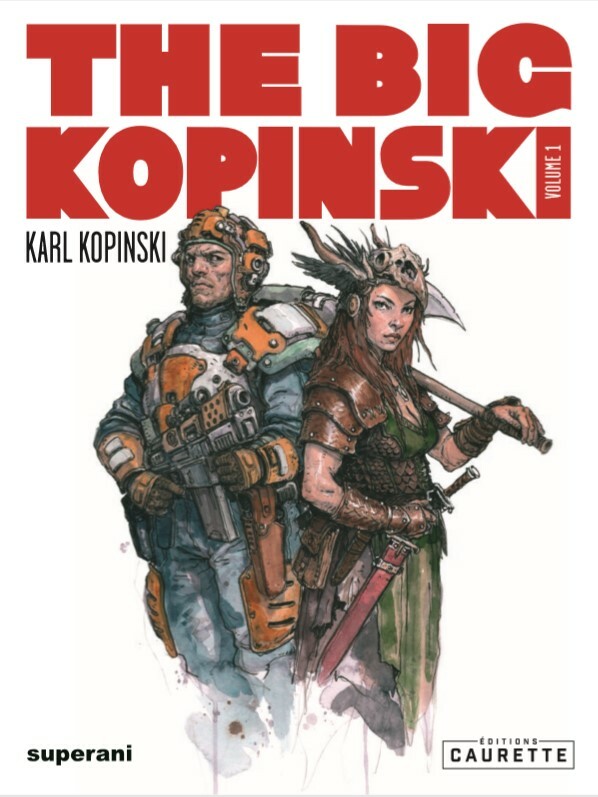 We also have another book planned for the near future, and that would be a volume called The Big Kopinski, which would include Karl Kopinski’s sketches from his first and second sketchbooks – which are both out of print – as well as some new sketches, both in black and white and in colour. Coming soon! And here is the (temporary) cover for the book!